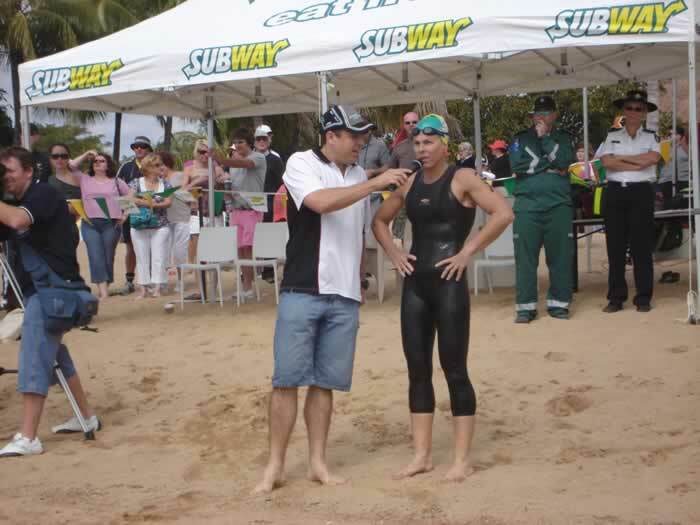 The 2009 swim was successfully conducted on Saturday 18 July. Following withdrawals from the original 68 individual and 5 team nominations, a total of 62 individuals, 2 teams of four, 1 team of three and 2 teams of two started, a total of 77 swimmers on the day. This was an increase on the 50 individual and 6 teams from 2008 (64 swimmers). 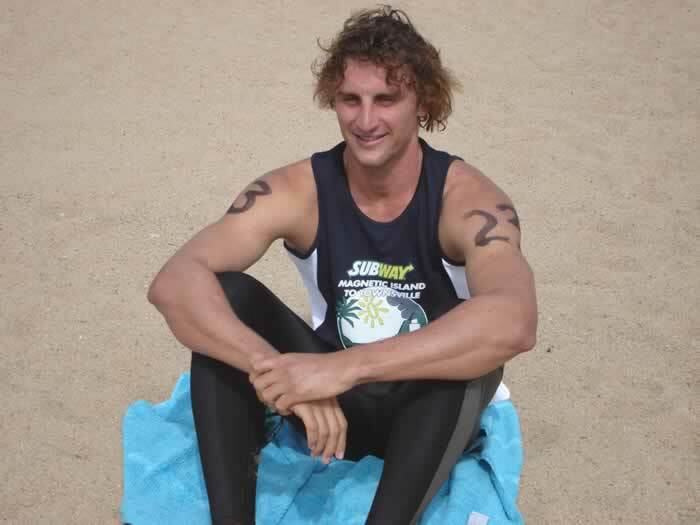 Michael Lewandowski from Point Vernon (Harvey Bay), a student currently at James Cook University, was first overall in the time of 1hr 41m 38 sec. Second overall, and first female, was Kylee Muldoon in the time of 1hr 51m 20 sec. Prizes were awarded for three age categories amongst the 18 females and four age categories amongst the 44 males with the perpetual trophies and medallions being awarded for fastest male and female. Conditions on the water changed during the period of the swim. An outgoing tide that combined with an easterly breeze that sprang up half way through the race made conditions tougher than they appeared to those at the finish line on the beach. The winning time was faster than the inaugural cage-less event but did not have the zig-zag finish chute that was a feature of the 2008 swim. The slowest time of 3 hr 46 min was 44 mins slower than the time by the same swimmer in 2008.